We had just read this passage together as our Scripture reading for the morning. I followed the reading by introducing the topic for the day; miracles. We live in a culture heavily influenced by naturalism. As a result we no longer believe in miracles. We could even say that our culture is offended at the thought. We deem them as figments of the unscientific imagination. Miracles may be the false hope of the ignorant but they are not within the scope of reality for the enlightened. We expect nothing. John the Baptist expected more. The man who baptized Jesus, who heard the voice of God, who saw the Spirit of God descend upon the Son expected more from him. The problem was not that Jesus had failed to perform miracles. The problem was that John expected more from God. John knew that if God entered the world, the world would not be as it appears, it would be full of miracles. We are offended intellectually and scientifically that anyone would consider miracles. John was offended that Jesus did not do more of them. So the thought was before us, what is our expectation? Do we still believe in miracles or are we offended by them? I prayed. The congregation was seated. I retreated from the pulpit to take my place on the front pew of the church. The choir was prepared to sing. I am not trying to be condescending here, but all of this was taking place in our 8:45 a.m. service. Honestly, I was not expected much, much less a miracle. It is not that our 8:45 crowd is lesser in the eyes of God than those that show up at 11:00, but there are less of them. And let’s be honest, it’s early! The best way I can describe it is that our 11 a.m. service runs at about 80 miles an hour. It is just shy of “tongues speaking Pentecostal.” Our 8:45 service runs safely 10 miles under the speed limit. It is just shy of “Give me an ‘Amen‘ Baptist.” I love both crowds. We end up at about the same place on Sundays, but we just get there at different speeds. So the choir is singing. I am seated with my low expectations and our resident Vestal begins to bring the house down. For a small country church parked next to a cow pen we have some incredibly gifted people. Crazy good music is our spiritual gift. You could tell immediately that God was in the song. 8:45 was now at a place we were not quite accustomed to and we were getting there way faster the speed limit. Seated about three rows from the back was a man affectionately known as Pudgy. Apparently he obtained his moniker from his football coach at Dalton High School. Dalton football is a storied program with a long tradition. Football stories here never die, they only grow more legendary each time they are told. If Dalton High football deems you Pudgy, you will be proudly so for the rest of your life. Pudgy’s son Corbin and his daughter-in-law Kellie are active leaders in our church. They had been praying for Pudgy for quite some time. Like many in this area, Pudgy had been raised to know the Lord, but he had walked away from the church many years ago. Early this year Pudgy had some health problems and spent a few days in the hospital. We found out he was a huge country music fan and that one of his favorite bands was Confederate Railroad. Anytime Confederate Railroad was within driving distance of Chattanooga, Pudgy would make the trip to see them play. Our worship leader, Chris McDaniel, was the keyboardist for Confederate Railroad. He has an incredible testimony of how God saved him from a $70,000 a month cocaine addiction. In a world that has dismissed miracles, Chris is a walking example of the power of God. So we sent Chris to the hospital to visit Pudgy. It blew him away that Chris would come to visit him. Chris is a powerful witness of the grace of God. After some time during their visit, Pudgy prayed to return his life to Christ and promised that as soon as he regained his strength that we would be seeing him at Liberty. So Vestal is fueling an early morning crowd that is not usually accustomed to exceeding the speed limit, God is moving, and in the midst of the song here comes Pudgy. He kneels in the altar to pray. Corbin comes out of the choir to join his father. Kellie joins them as well. Many people in the room had been praying along with Corbin and Kellie for Pudgy. This was truly a Holy Spirit inspired moment. What happened next was not only at testimony to a culture offended by miracles, but it was an awakening for a sleeping church that has ceased to expect them. Pudgy got up from the altar. Everyone praying with him began also to return to their seats. The choir was still singing. Pudgy had just reached the second row of pews when he fell to the floor dead. I dismissed the congregation to the gym. I told them to please go there, wait and pray. I ushered Corbin and Kellie to a side room. About the time we turned to go there a lady in our church who is a physician’s assistant came running into the sanctuary with the defibrillator we keep downstairs. Corbin entered the side room and fell to the floor, crying and praying for his dad. His wife Kellie was on one side of him, I was on the other. Honestly, I was praying, but I was not expecting. I was praying for Corbin’s comfort in the loss of his father. Naturally, life has taught me that when a man is dead he is dead. Now it is time to pray for their family. I heard the defibrillator call for clear and for the victim to be shocked. This happened twice and Pudgy remained unresponsive. Our emergency personnel began to rotate chest compressions. Pudgy had been down so long now they were tiring, but they were determined they would not give up until the ambulance arrived. What I am about to share I pieced together from what I heard, what I saw, and what those who were working with Pudgy have told me. They have seen death many more times than I. They too had determined Pudgy was gone. By the time the EMTs arrived all I could hear was Corbin and Kellie crying, a few people surrounding the scene praying, and our emergency workers counting compressions. Suddenly the murmur of prayer and tragedy was interrupted by laughter. Pudgy sat up. He was a little confused at first. He then looked down at his ripped open shirt and wondered who had torn his “church shirt.” When the EMTs loaded him on the stretcher Pudgy began to express some aggravation that he would not be able to stay and hear the sermon! There is a story in the Bible, John 11, in which Jesus raises his friend Lazarus from the dead. Lazarus had been dead four days. Pudgy was dead about five minutes, but it was no less miraculous. I saw Lazarus. Pudgy stayed in the hospital about a week. They ran test after test to determine what had happened. Each test returned negative. Other than the health issues that were already present, there was nothing medically that could explain why Pudgy died and came back to life. But I know why. We may be offended by miracles. We may scoff at even the consideration of them. But God is able to turn naturalism on its head and remind us that we live life intellectually upside down. 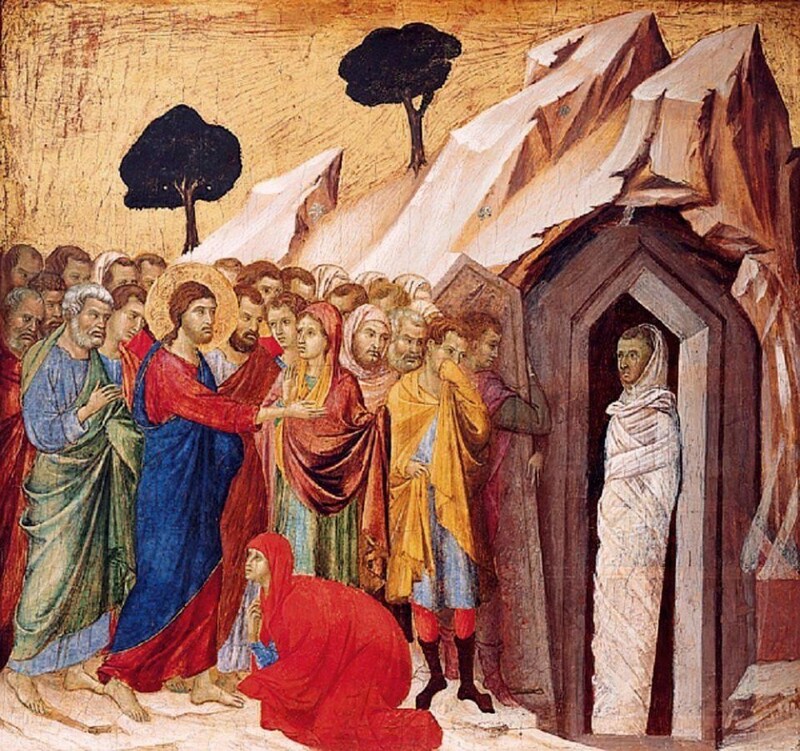 On a day I had scheduled to preach on miracles, God scheduled a resurrection. I went into the gym and began to explain to the awaiting congregation what had just happened. When you have a sermon on miracles written out, and then God actually raises the dead, it sort of causes you to trash your manuscript. After the first service ended there was a definite buzz around the church. I went into my office and tweeted, “Preaching about miracles today. Just had a man pray n the altar, fall dead 4 5 minutes, then come back to life! U may want to be here at 11!” As I stated, even though we do the same set of songs and the same order of worship, our second service is different than our first. The 11:00 a.m. service that day I would liken more to a college football game than a typical Baptist meeting. It was electric! I’ll never forget the day I saw Lazarus. I am not offended by miracles. I have seen several of them. The resurrection of Pudgy was not the first one I have seen, but it was definitely the greatest one I’ve seen thus far. When the word began to spread around town of what happened people began to ask me with a smile on their face, “So preacher, what are you going to do next week?” After a chuckle I was quick to remind them, I didn’t do it last week, but you never know what to expect. Our God does miracles. The problem is that the church has been so heavily influenced by the naturalistic culture around us, we no longer live like John; with great expectation. We expect nothing. We are satisfied to simply sing, pray, and preach. John expected more. He preached, but he also had a fervent desire to see the Messiah perform on His Word. We may not see Lazarus everyday, but that doesn’t mean he’s not out there walking around us, going virtually unnoticed. Miracles are still happening. It’s time to raise our expectations. Great testimony to the never changing power of our God. It is not God that changes , it is His people. Far too many have lowered their expectations and are not expecting miracles. If Susan and I were in Dalton, we would be 8:45 people! !